The Law School at the University has launched the Stefan Cross Centre for Women, Equality & Law (SCC), thanks to a generous donation from Southampton Law School alumnus, Mr Stefan Cross QC (Hons). High profile claims of gender discrimination continue to make headlines in the UK. Recently, staff in Google’s offices around the world staged a walk out over claims of sexual harassment and gender inequality. And female council workers in Glasgow are currently in dispute with their employer over a pay discrepancy that dates back nearly 10 years. The SCC will be staffed by academics and researchers who will study where discrimination against women and girls occurs within the law and in society, investigate the causes of this discrimination and recommend solutions for Government and local authorities. The University’s Law School is at the forefront of research in the field of employment discrimination and the SCC’s leaders are looking to build on this experience to create the UK’s reference centre of expertise on tackling gender discrimination. The centre will also get the benefit of Mr Cross’s passion for equality and his experience in successfully representing thousands of equal pay claimants over the years. The staff at the SCC will work with experts across a wide range of disciplines and backgrounds and hold regular public events to get people talking about where gender inequality occurs and understand the roots of problem. They will also undertake research projects into the broad range of social, cultural and legal issues associated with gender discrimination to identify what needs to change to reduce the problem. Stefan Cross graduated from the University of Southampton in 1982 and went on to become one of the UK’s leading employment lawyers. He has secured compensation for thousands of women, starting with the “Cleveland Dinner Ladies” case in 1995 when Cleveland County Council paid out millions of pounds in compensation to women who had been paid less than men in equivalent roles. Most recently he has featured prominently in the national news for the case in Glasgow, where he is representing council workers bringing a similar claim against their employer. He is one of only around 20 solicitors to be appointed as an Honorary QC, which he received for his work in pursuing equal pay cases. 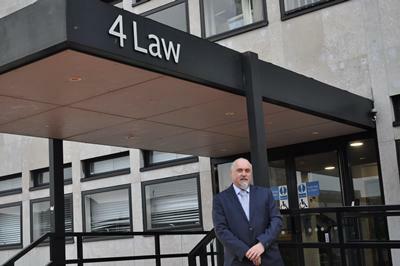 Throughout his legal career, Stefan has been a generous supporter of the University of Southampton, funding a bursary scheme to support Law School students to progress their studies, regardless of their financial background. The Centre for Women, Equality and Law was officially opened on 15th November with a distinguished lecture by Stefan Cross where he spoke about the “Myths and Legends of Equal Pay”. “My interest in gender equality comes from my background; my mother suffered considerably injustices when she was bringing us up and I wanted to do something about it. I saw the jobs she did that were incredibly difficult and incredibly badly paid and under-valued and that’s the message that I’ve been trying to get across for 30 years, women have been undervalued. The academics and research students within the centre have already started to progress research into new UK gender pay transparency. For instance, Dr Benedi Lahuerta is using FTSE companies as a case study into whether the regulations may be effective in bringing about change. The public seminar series have already been taking place since October 2018, including talks by academics and practitioners on a wide range of topics, such as how to achieve work-life balance and good career progression in the legal profession and how Brexit could impact gender equality in the workplace. More information on upcoming activities and publication can be found on the centre’s website and Twitter account. Sara Benedi Lahuerta is a Lecturer in Employment Law at the University of Southampton Law School. 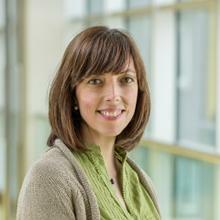 Her research interests lie at the intersection of equality law and employment law (at international, EU and comparative level).